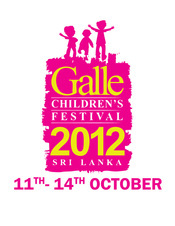 The 2012 Galle Children's Festival was expanded in response to the fantastic feedback and suggestions shared by the 2011 participants. The Galle Children’s Festival 2012 officially opened on Thursday 11th October 2012 with an opening parade which showcased the talents of local young people. School bands and dance groups performed in this exciting parade which wound its way through the historic Galle Fort. Our Chief Guest Honorable Chandima Rasaputhra, Minister of Provincial Education (Southern Province) officially opened the Festival and spoke of the importance of events such as the Galle Children’s Festival to foster the participation of local school students. Students and their families were then treated to a traditional Puppet Performance by the Saranga Ambalangoda Puppet Group. ‘GCF Day Out’ was held on the final day of the Festival, Sunday 14th October and gave local families the special chance to spend the day together on a range of exciting outings. 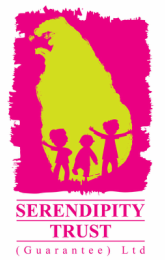 These included the Day Out with the Sri Lanka Navy, Pool Party at the Lighthouse Community Pool, Eco-Trip to local rainforest and tea estate Samakanda, a visit to the Martin Wickramasinghe Museum and a special bike ride for children and their parents around the historical Galle Fort. Over 700 local children and their families had the unique opportunity to participate in a range of fun family outings on the final day of the Galle Children’s Festival. Families met at the Samanala Ground before buses took them on these fun outings.